Winter is coming – this means dry skin, cold weather, and hair that needs a little bit of TLC in the colder months. One of the cardinal sins of having extensions, especially in cooler temperatures, is that we can often forget our extensions are made of human hair too, and so don’t take care of them the way we should! But, as always, Dream Girl is here for you with plenty of information on how to look after your hair – including your extensions – as we gear up for nights getting darker earlier and endless excuses to drink hot chocolate. Extensions need to be treated gently, especially in winter, so when you wash and condition your hair make sure you comb your hands through your hair from wefts to ends. The key is to keep hair as straight and smooth as possible – if you bunch the hair up and lather it, this puts strain on bonds and leads to your hair extensions looking tangled and messy, which nobody wants! Our Dream Girl Clip’N Go® hair extensions require the least amount of maintenance out of all our hair extensions, but they still need to be looked after. After wearing them a few times, you should wash, comb and condition them and then allow them to air dry on a towel so they can stay looking their best. For all of our glue-in hair extensions, we recommend that you use a sulfate-free shampoo and conditioner and brush them with a loop hair brush to keep them looking flawless! 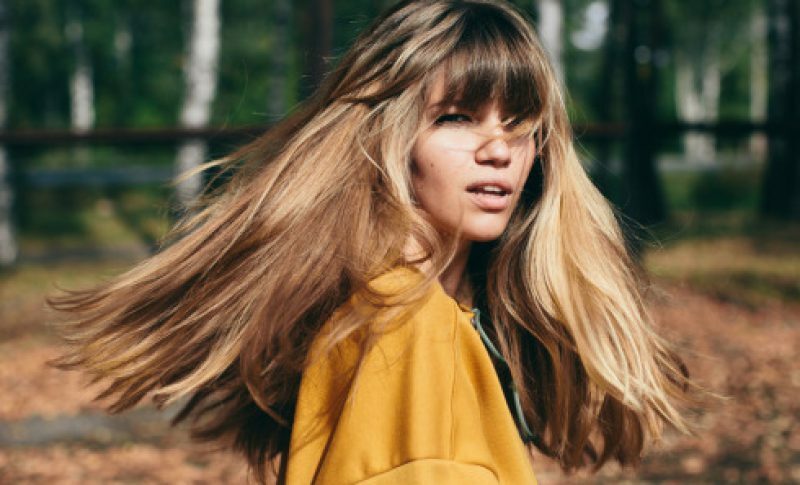 One of the reasons your hair gets frizzy and unmanageable is because the air is so much dryer in the autumn and winter – so when you dry your hair, you need to lock as much moisture in as possible, and this includes drying your extensions! We suggest using a hair dryer on a lower temperature or ‘cool’ setting over a longer period of time so that your hair retains its moisture – and definitely invest in a heat protect-ant! By drying your hair on a cooler setting over multiple applications, your hair keeps much more moisture and is easier to style and care for!